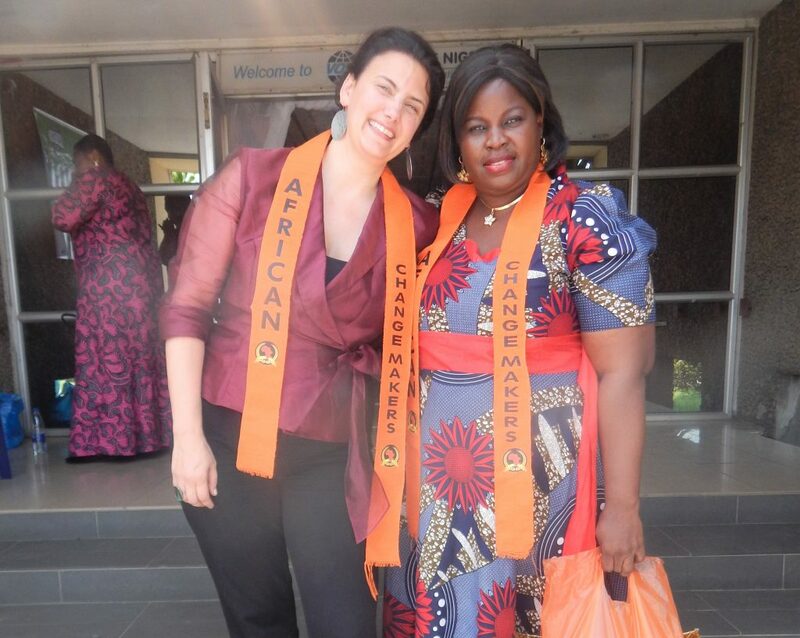 As a member of WorldPulse Network, I attended WorldPulse event in Lagos – Nigeria yesterday to meet WorldPulse founder Jensine Larsen and my WorldPulse sisterhood friends to connect, share and learn from each other. 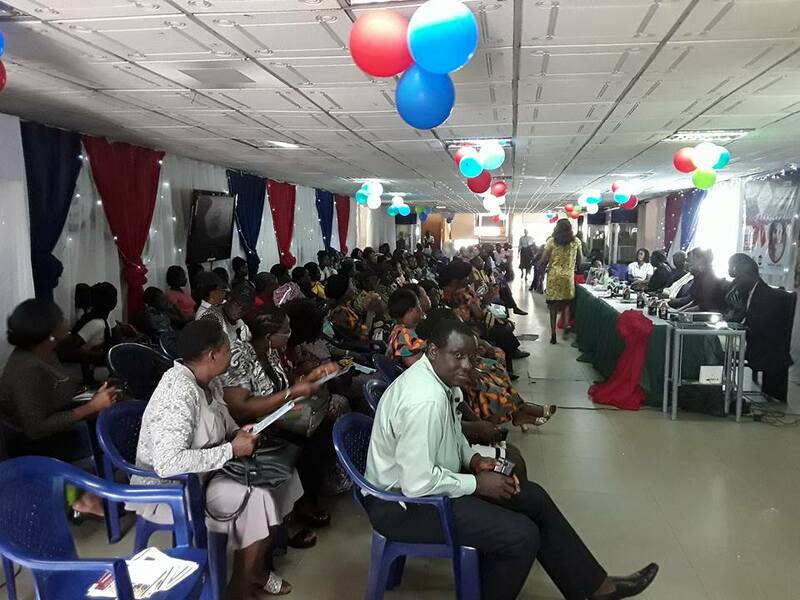 The event theme was “Harnessing the Power of Digital Technology” organized in collaboration with Tosin Adebowale Oladosu (Founder, Trash to Treasure) and SSASCGOC VON Branch to welcome Jensine Larsen of WorldPulse to Nigeria. 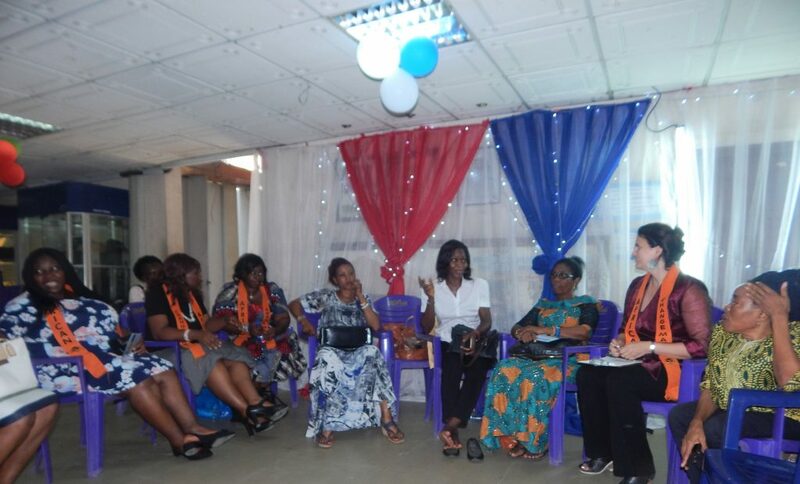 I was moved by most of the women’s humble beginnings stories, what they do and hope to achieve to see a better world for women and girls across Nigeria and Africa. 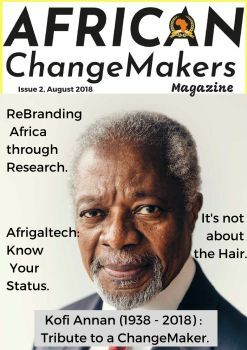 How and why they connect with WorldPulse, connections and opportunities that had come their ways to build their professional and business growth. 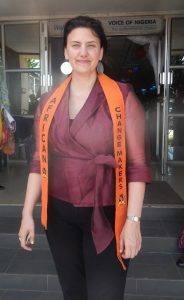 I had to honored some of the great Nigerian women with African ChangeMakers branded merchandise – sash/stole/muffler as gift to wear on their neck to acknowledge their great work and unrelenting spirit across the country and to honor Jensine Larsen, WorldPulse founder for the great work she is doing connecting and impacting women across the globe.